Applesauce and cream cheese icing, goes together really good. What do you do if you have left over cream cheese icing? You search your cupcake book and find out that it has a great index. It not just give you a list of its recipes, no, it even tells you what icing goes with what cupcake. 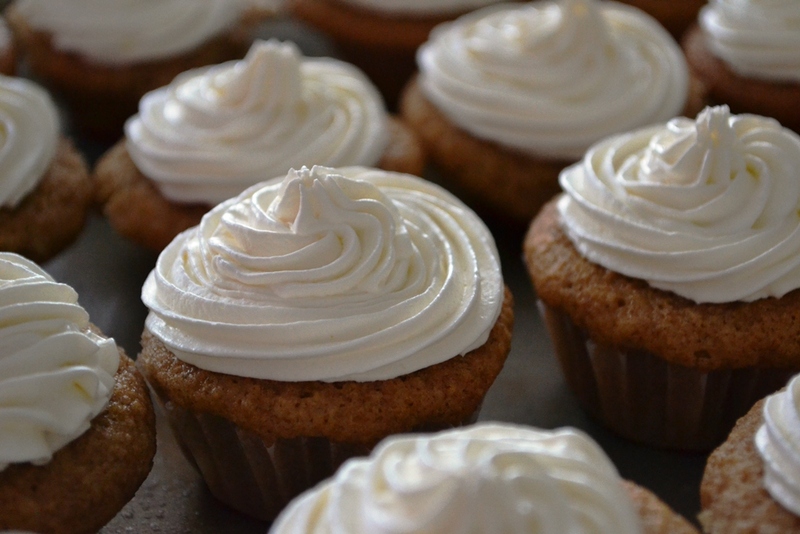 So, I find the Applesauce cupcakes which finish nice with cream cheese icing. Lucky for me it also uses buttermilk, which I had a hint sitting in my fridge. Anyway, I love apples and applesauce, actually one of my favourite baked goods is an applesauce muffin, but that’s a story for another time. These cupcakes have a rather lengthy list of ingredients but that’s mostly due to the different spices that go into the cupcakes. The spices are important because they will enhance the flavour of the applesauce and bring it all nicely together. Tip 1: The spices are all ground, just to make sure we are on the same page here. But I am almost sure no one would have put in whole pieces of nutmeg or ginger or a stick of cinnamon. All the things you need lined up. The three bowls are a set from my mother, probably older than me. In a small bowl you mix all dry ingredients, so flour, baking powder, baking soda, cinnamon, nutmeg, all-spice, ginger and don’t forget the salt. Now take a big bowl and cream together butter and sugar. After that, beat in the egg and vanilla. Make sure it’s a smooth batter. Tip 2: I melted my butter because I was not using a stand mixer (the bowl was in the wash). The melted butter mixed well with the sugar and cooled down in the process. Finally, in a small bowl you mix together the buttermilk and applesauce. All three mixes before combining. Once you have all three bowls finished you start mixing it all together. First, some flour mixtures goes into the butter-sugar-egg-vanilla mix, combine it well. Add half of the applesauce-buttermilk mix and beat together. Follow up with more flour mix, the rest of the applesauce-buttermilk combo after that and finish it off with the rest of the flour mixture. 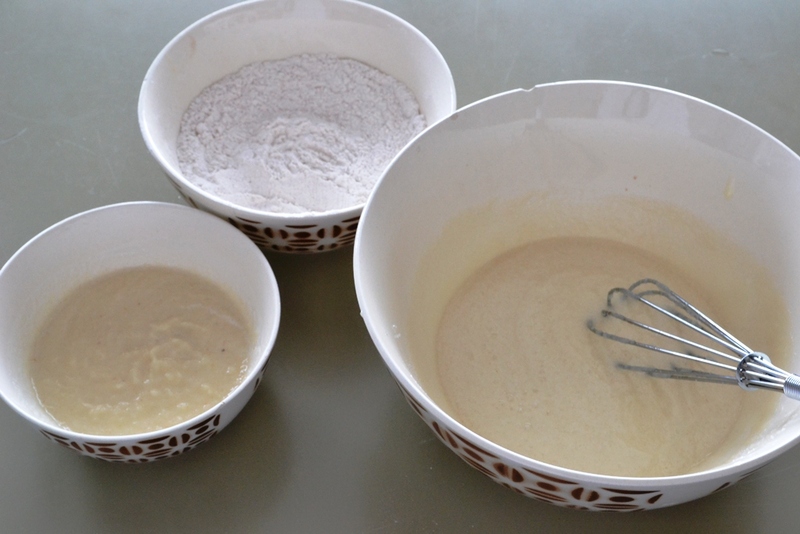 Make sure you beat the batter in between well so that it is combined good. Tip 3: This recipe is made for 12 small cupcakes. Now I am not sure how big their small cupcakes are but I got more than 12 cupcakes out of it, which is rather surprising. Usually I don’t get as many out of a recipe as the recipes states. 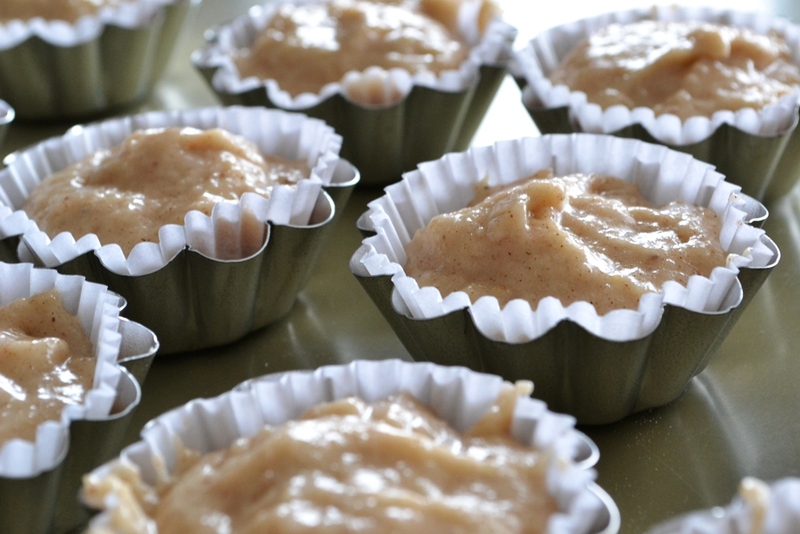 Tip 4: One of those little snack applesauce cups is 1/2 a cup. I had to measure because I was not sure, but for next time I know. 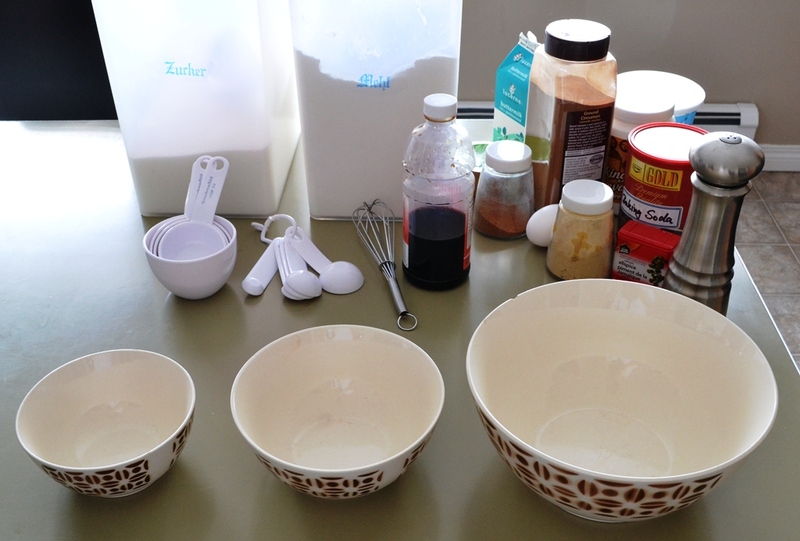 Grease and flour your cupcake form, use liners, or silicon ones, whichever floats your boat. I guess it depends for what occasion you are making these. Fill 1/2 your forms with the batter and bake at 180°C for 20-25 min or until a toothpick comes out clean. Comment 1: I rarely do that 1/2 a cup full of batter thing. The result: overflowing cupcakes. I think it’s because I do more muffins and so I don’t think about it too much. Stick to the 1/2 cup if you want nice cupcakes, otherwise you will end up with a muffin top. You can tell, I don’t stick to the 1/2 full rule. After you taken them out of the oven let them cool down on a wire rack completely so that you icing won’t drip off. Take a pastry bag/icing bag, put on a coupler and any tip you like. You could make a flower is you are that good, or you just finish it off with a nice swirl. The amount of icing I had worked perfectly for the amount of cupcakes and I was able to have a nice swirl on top but not too much. One of the things I don’t like about cupcakes is when there is too much icing. That’s just overpowering. Posted in Cupcakes and tagged applesauce, baking, cream cheese icing, cupcakes, recipes, spices. Bookmark the permalink.